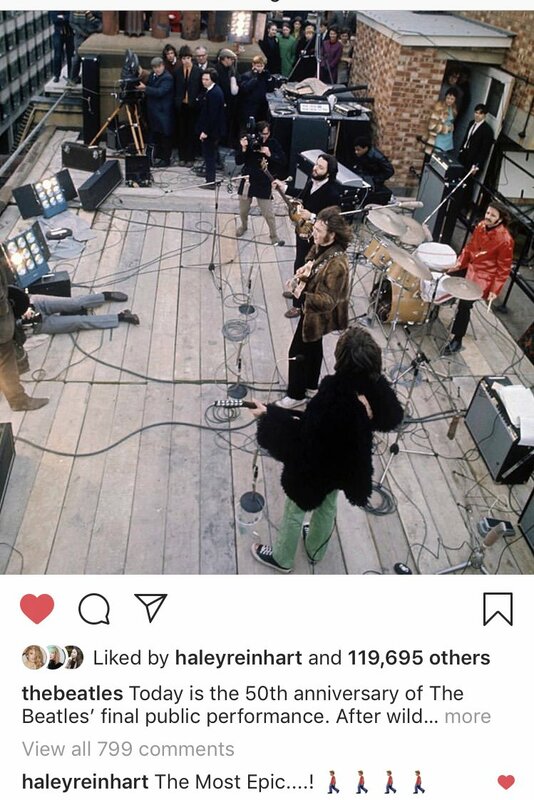 Quote: Paul McCartney has posted online a brief documentary about his relationship with his late Beatles band mate John Lennon, apparently to coincide with the 75th anniversary of Lennon's birth. The four-minute video focuses specifically on "Here Today," the homage McCartney wrote for Lennon after his death. It appears on Sir Paul's recently reissued 1982 solo album, Tug of War. The Beatles in 1957, when George Harrison was 14, John Lennon was 16, and Paul McCartney was 15. It's remarkable such a talented group began working together at such an early age. The Beatles"Eight Days a Week" wins for Best Music Film #GRAMMYs Congrats to our leader and film producer #scottpascucci Nicely Done!!! 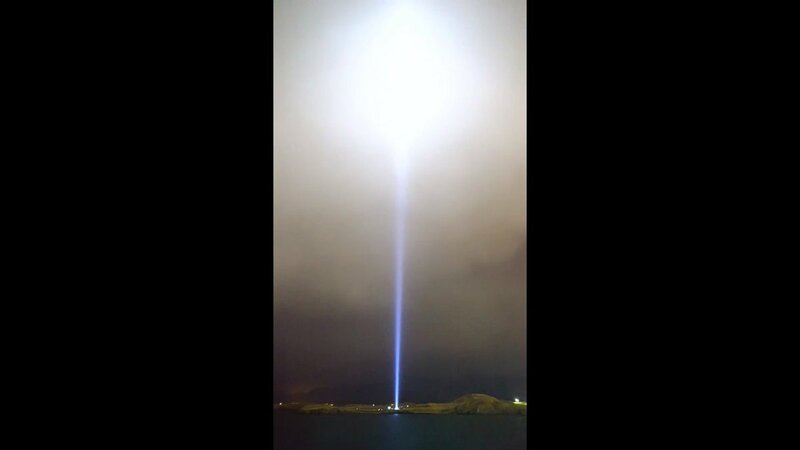 Quote: The Imagine Peace Tower (Icelandic: Friðarsúlan, meaning "the peace column") is a memorial to John Lennon from his widow, Yoko Ono, located on Viðey Island in Kollafjörður Bay near Reykjavík, Iceland. It consists of a tall tower of light, projected from a white stone monument that has the words "Imagine Peace" carved into it in 24 languages. These words, and the name of the tower, are a reference to Lennon's campaign for peace, and his song "Imagine". The Tower consists of 15 searchlights with prisms that act as mirrors, reflecting the column of light vertically into the sky from a 10-metre wide wishing well. It often reaches cloudbase and indeed can be seen penetrating the cloud cover. On a clear night it appears to reach an altitude of at least 4000 m. The power for the lights is provided by Iceland's unique geo-thermal energy grid. It uses approximately 75 kW of power. Buried underneath the light tower are over 1 million written wishes that Ono gathered over the years in another project, called Wish Trees. 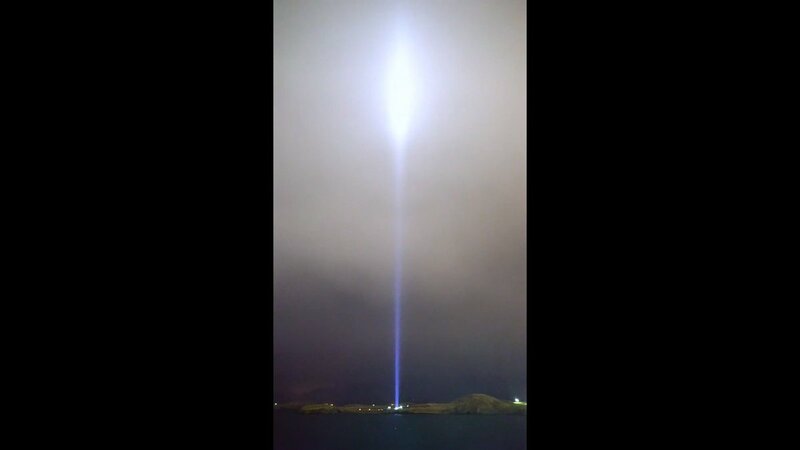 Ono plans to have the tower lit every year from 9 October, Lennon's birthday, through 8 December, the date he was shot. Iceland was selected for the project because of its beauty and its eco-friendly use of geothermal energy. Construction of the tower started on 9 October 2006 when Ono dedicated the location, and it was officially unveiled on the same date in 2007. The ceremony was broadcast internationally to numerous television networks. In attendance with Ono were son Sean Lennon, bandmate Ringo Starr, and Olivia Harrison, widow of George Harrison, and Olivia's son Dhani Harrison. Paul McCartney was invited, but could not attend due to a court case. Yoko Ono said on the day of the inauguration that the tower was the best thing that she and John had ever done. Quote: “Concert for George,” a documentary about the tribute concert to George Harrison, will get a theatrical run presented by Abramorama in association with Concord Music beginning Feb. 20. The film will be shown in more than 75 theaters across North America. The launch takes place five days before what would have been George Harrison’s 75th birthday. The international rollout of the film will be announced next week. I've gushed often about current PMJ musical director/piano player. Here he and his virtuoso violin playing wife put out a video of a beautiful arragement by Jesse of the Beatles' "Across the Universe"
Hard to say how long this will stay up. Worth watching (fly on the wall perspective). According to Paul a 50th anniversary new edition of the film is planned for 2020. They have 56 hours of original footage and plan to mix in a lot of new stuff.